I would always consider myself an animal lover, however I'm much more of a dog person. I'm also in love with giraffes and a few other animals. I admire SeoJin so much for having a bird show birthday party with his pre school. I was so honored to photograph an event put on by the Homeless Prenatal Program. This event was a family day that had a bouncy house, face painting, African drumming, painting and some fun backgrounds to take silly photos in front of. I mainly photographed families in front of pretty backgrounds with fun props, but I was so glad I got to experience this event. I had such a blast photographing the Krieger family! These two little girls are such cuties, and baby Uma is so in love with her older sister. When everyone was snuggled up on the bed, it seemed only natural to get into a mini pillow fight. A few weeks ago I registered my business with the city of San Francisco, CA. I spent the last year making sure that this was the best way I could serve myself and my community with my photography. I also tried out working with a wedding photographer as well as working with multiple nonprofits. 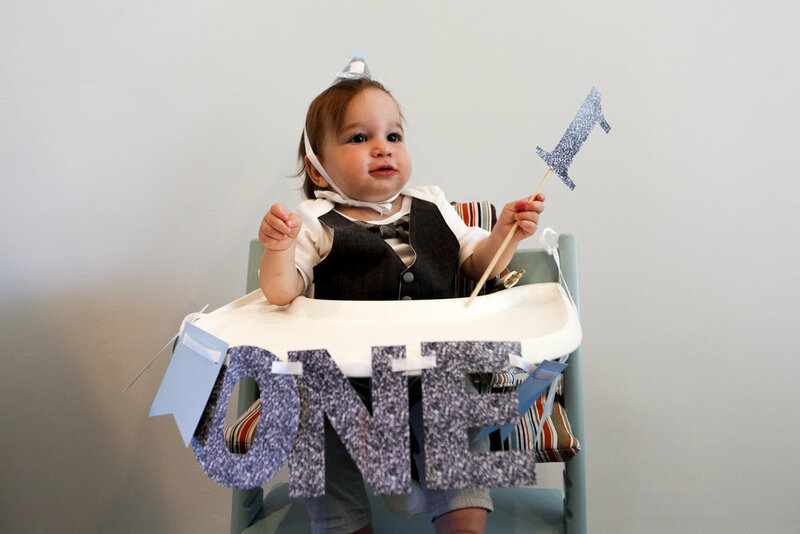 I was so honored to be able to photograph Leonardo's very first birthday! He was so thrilled to taste sugar for the first time, but let's be honest who isn't over the moon to have a whole cake to themselves! My favorite part of this session had to be when Leo's dad smeared cake all over his face. A lot of my clients this year have been friends of friends or moms that knew me and trusted me with their family photos. I felt so lucky when the Rhuberg's reached out because I had never met them before. Since I am in my first year of business, I felt like I had finally made it. It was such a pleasure photographing Beth's pregnancy. I have been spending so many days with newborns, babies and toddlers that I forgot all about prebaby! Hearing how Beth and Ross started off as roommates (thanks Craigslist) was so sweet. Lesson #1: According to Noelle, you must have at least 3 different outfit changes throughout the day depending on your mood. No one can give a compliment like Noelle. She loves to tell everyone how beautiful they look and it is so sweet. Anyone who knows me or follows me on Instagram knows that I am so in love with the O'Neill family. I've known them for over a year now, but since Kellan is only 2, I've known him for half of his life!! How crazy! What a wonderful spirit Jamie is! She is such a funny girl, and wouldn't stop running around Golden Gate Park. It was a such a workout to try to keep up with her, so thank you Jamie for being my personal trainer for the day. I've known the O'Neill family for over a year now, and I can't believe how tiny Kellan was when I first met him. Now he looks like he's been in school for years and is a Varsity football player! Can you believe he is only two years old?! I loved meeting Matilda "Tilly" for the first time. Matilda was (is) one of my all time favorite movies so I knew I would love her instantly. She was 6 weeks when I met her and was still so teeny tiny. Gennie is the daughter of my mom's best friend from college. When I heard Gennie was expecting I was over the moon! I think of her as a big sister (ie: She had a turtle growing up so then I got a turtle. I learned I'm more of a dog person but alas). © Alyssa Hunter 2019. All rights reserved.